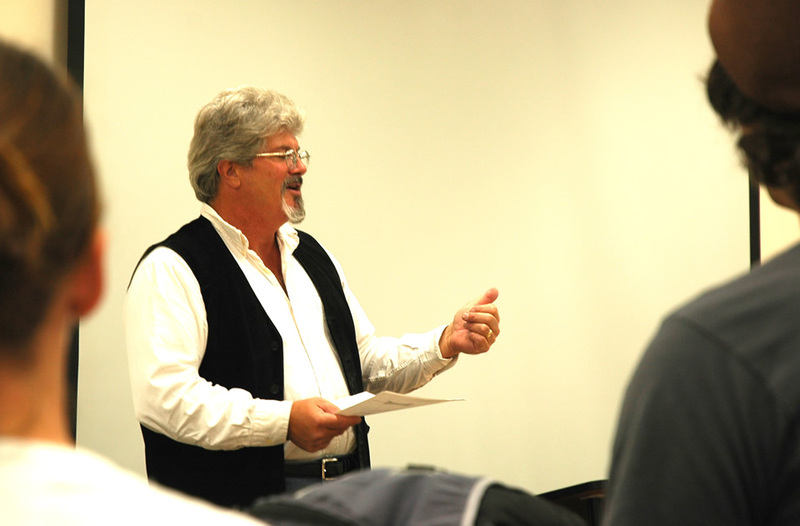 Since 2000, Linehan has taught Screenwriting I and II, Writing for Television, Narrative Producing, Introduction to Film Production, and Moviemakers and Scholars. He is the Internship Director and Alumni Coordinator. Terry's seven short films have screened at film festivals nationwide and in Europe. "The Goody Goody", won Best Short Documentary at First Glance Philadelphia Film Festival, screened at Raleigh Studies in Hollywood and at the Full Frame Documentary Film Festival. His films have also aired on Public Television in North and South Carolina. His screenplay "Kate Loves Spiffy," was an AMPAS Semifinalist in the Nicholl Fellowships of Screenwriting. Terry was Co-Producer on Chip Hackler's short, "Two Hours in the Dark", winning eight film festivals nationwide and named a "Best Short Film of 2010" by Withoutabox. In 2010 Terry received the UNCW Discere Aude mentorship award. He holds a Master's Degree from UNCW.